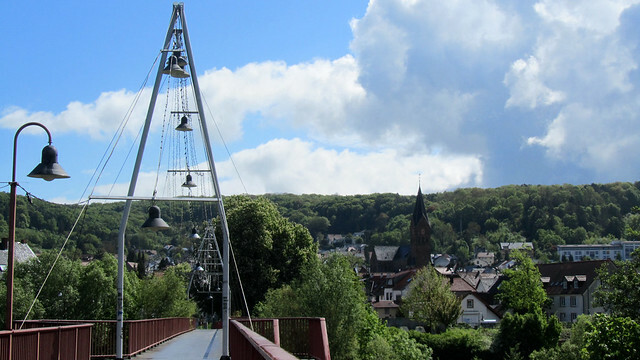 River Saar flows from Mont Donon to Trier, its length splits to sit nearly half-half between France and Germany. 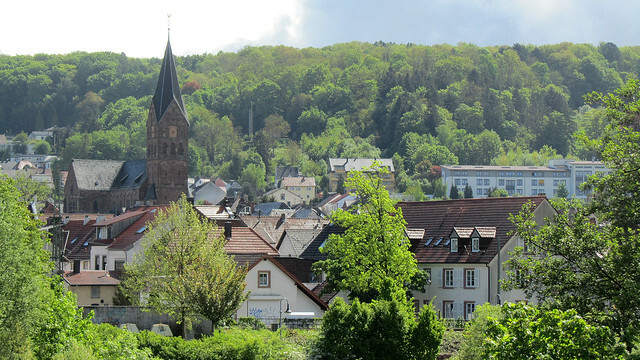 In the region of Saarland, Saarbrücken is at about the half-way point of the river. 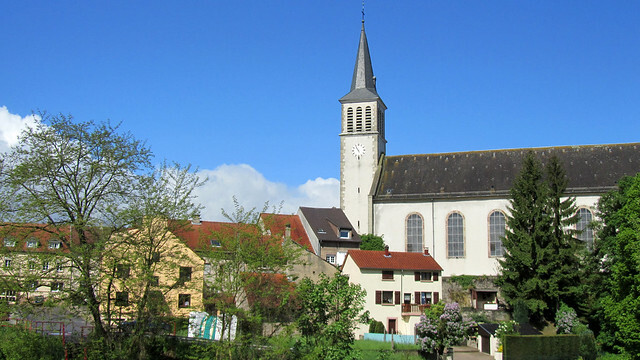 A little further south, it even acts as the natural border for the two countries, where the towns of Grosbliederstroff and Kleinblittersdorf are linked by a short bridge. 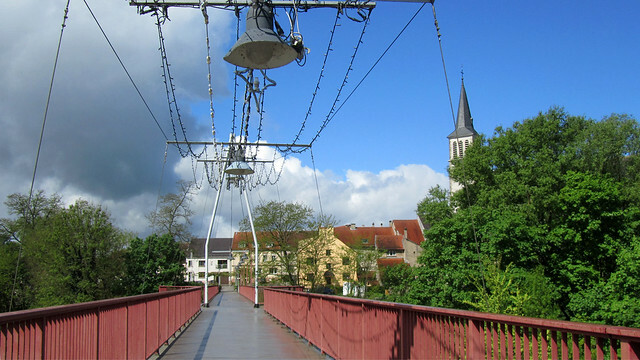 Our third train since leaving Nancy in the morning took us to Saarbrücken, followed by a tram ride to Kleinblittersdorf to check-in to our hotel, before crossing the bridge to Grosbliederstroff to attend C&V’s wedding. 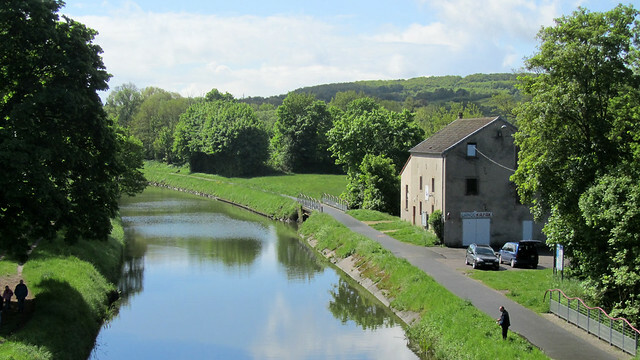 Since we don’t have time to explore any of these towns, the best I could do is to share the few photos that I took while we were there. 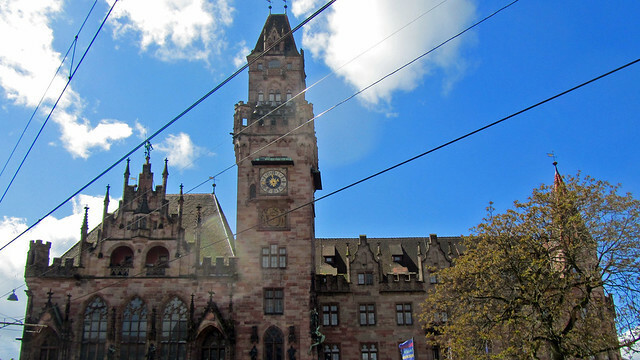 These two last photos from Saarbrücken are something that have caught my imagination. 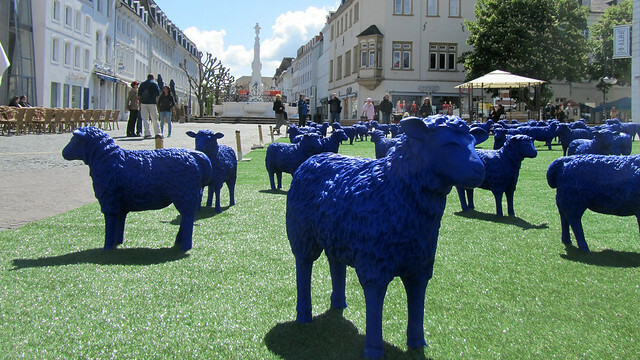 The blue sheep of Bertamaria Reetz and Rainer Bonk have been travelling around Europe to promote peace, tolerance and European unity, and we got lucky to catch them as they made an appearance in Saarbrücken. As for the light at a road crossing, the unusual form of the walking man certainly had me pondering, what is that??? A man with a hat? Master Yoda? I don’t know now if this is a standard thing in the region (we didn’t have time for me to walk around and check) or is this something rather particular. Would anyone like to chime in their theory? I’m not surprised you liked the little fellow. 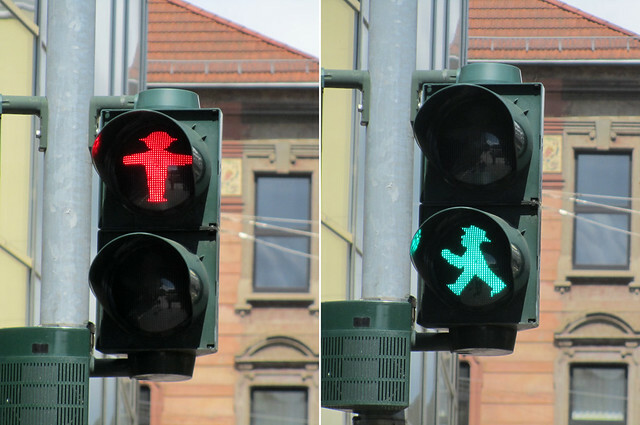 The “little traffic light man” is German: http://en.wikipedia.org/wiki/Ampelm%C3%A4nnchen Hehehe. Oh cool – thanks for solving the mystery! I love the sheep and the little traffic light men! 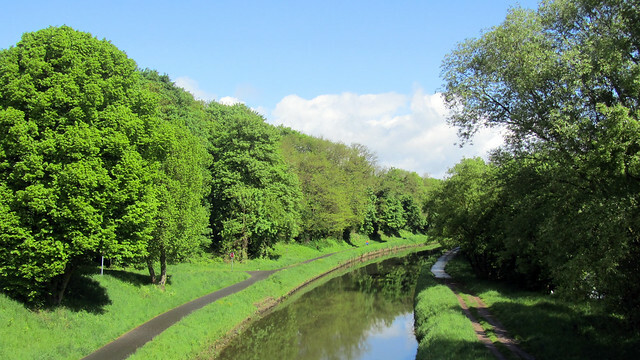 Looks like you got nice weather for your trip. Glad you agree that the sheep and traffic light man are intriguing. Yup, that’s a dragon killing going on there. 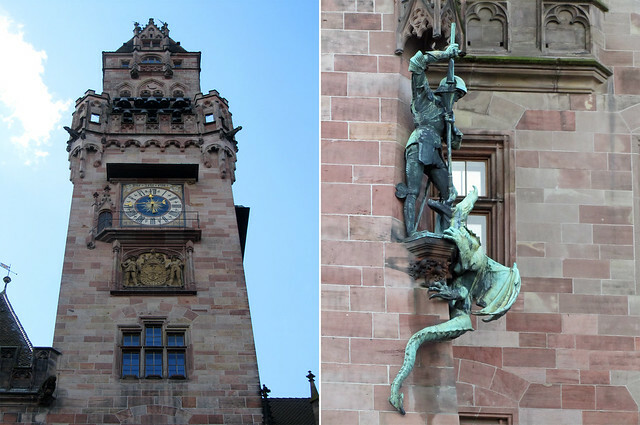 We didn’t have time to check out the story of the city hall but my guess would be that’s St George slaying the dragon (it’s a typical iconography in Europe, and aha, quick search on Google indicates it is St George but they’re not sure what’s its significance to this building/town though).